Photo of Stucco Painted Grey - With a Pop of Purple! Stucco Painted Grey - With a Pop of Purple! 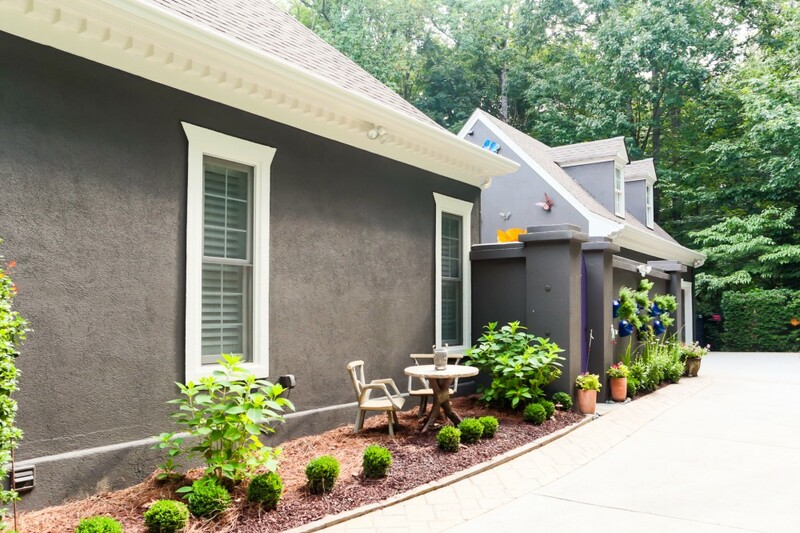 This tan stucco home in Atlanta went to a powerful grey and purple doors as bold accent colors. Super fun!